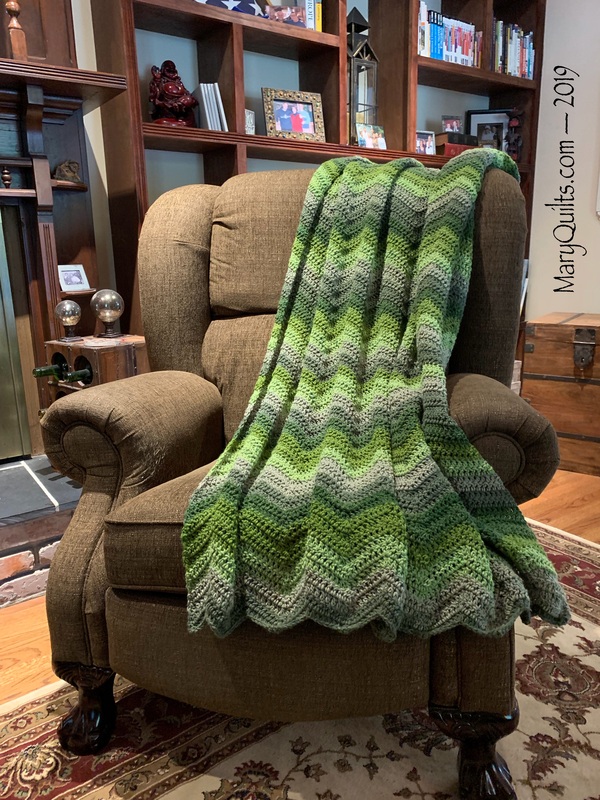 I looked at a bunch of crochet afghan patterns yesterday after finishing the green Ripple and even cast on one but pulled it out and decided to start another Ripple – I know, I’m a bit obsessed with them right now but the good thing is that they’re quick to crochet and this is the 3rd one in a row that I’m making from stash. This yarn has been in my stash for years … a batch of 10 skeins bought on sale of course. Don’t you love the tweedy look of it?! Same free Ripple pattern but I did chain 146 for this one with an H hook. 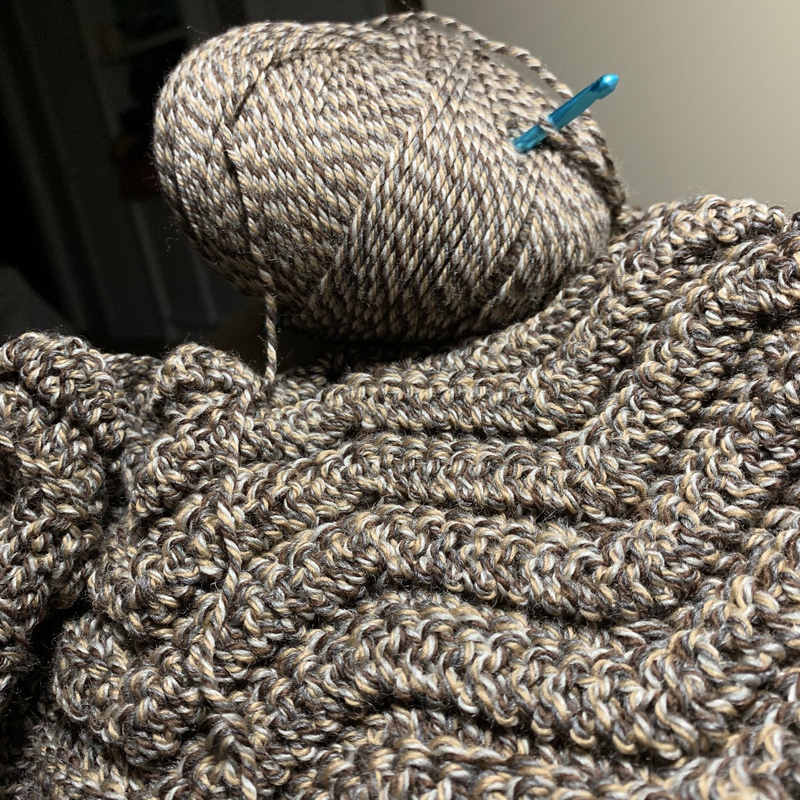 Crocheting in the back loop which creates that deeper texture. I really should be binding quilts but after another loss by the Lightning tonight, I just felt like sitting and since I don’t have any quilts ready for hand-stitching the binding, that meant more crochet. I’m a bit discouraged that after a great season, they’re in danger of being eliminated in the first round of the playoffs. We had a gorgeous day here in FL – hard to believe that Keith just ran from the snow in Minneapolis a couple days ago! We took a 13 mile bike ride and ended up downtown along the river and then we came home and went for a swim – and the water was perfect! This is usually a little early for me to be swimming but we’ve had a warm week. Since I didn’t sew during the day, I sewed this evening. 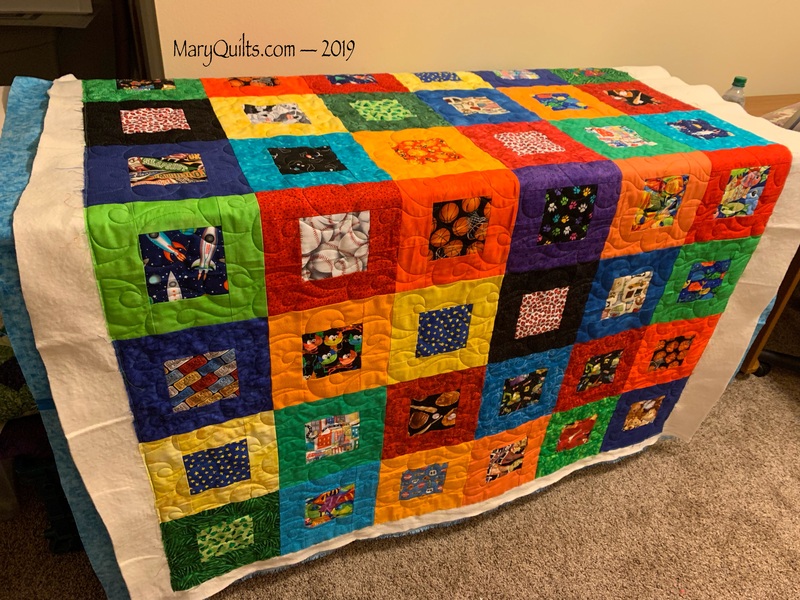 I loaded and quilted another one of the Maine Happy Block Quilts – same green thread, same pantograph as last night – Steam. 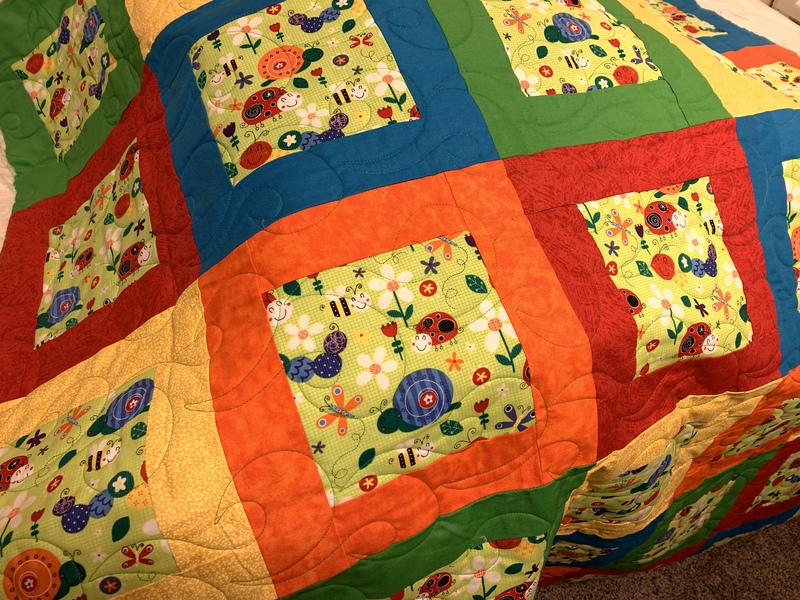 Isn’t this one cute … the centers are from the same fabric. 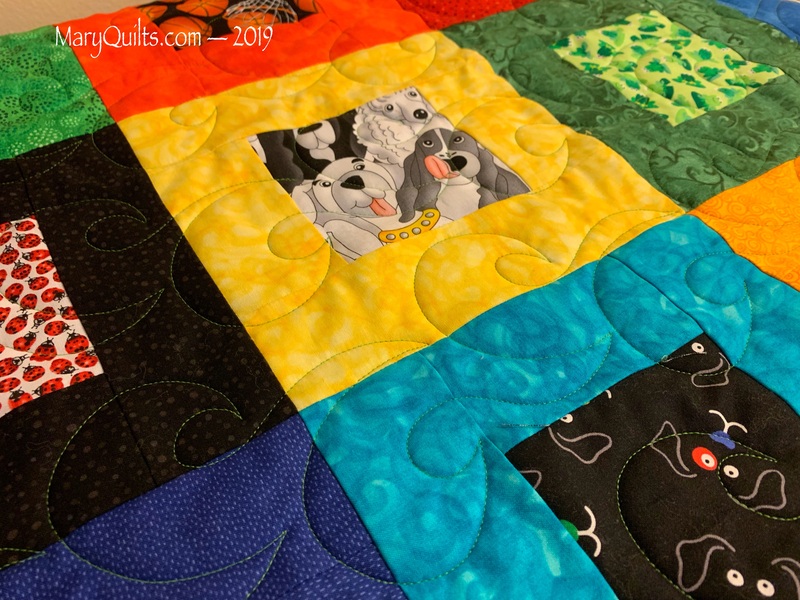 Typically I trim and get the binding on a quilt right away but I’ve got three waiting for binding now. Maybe I can get one done before my trip next week. 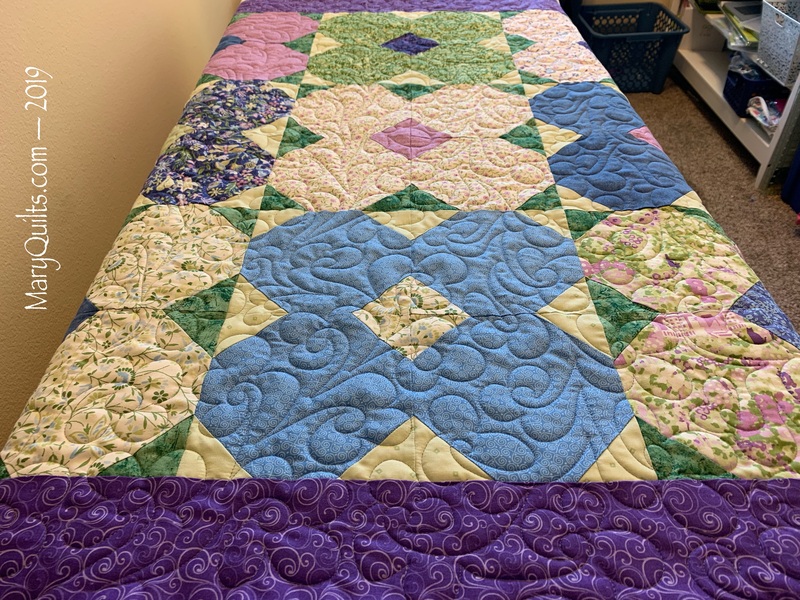 I loaded and quilted this snowball top today. 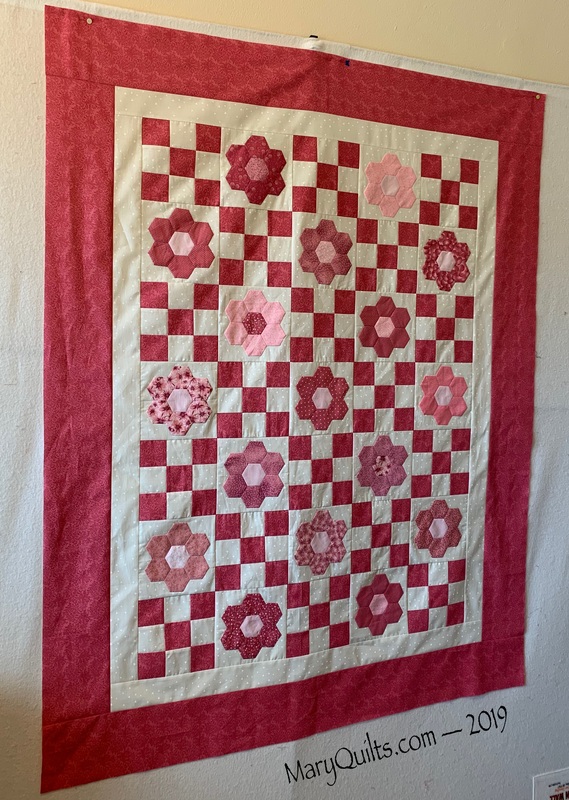 I learned to quilt these little freehand flowers years ago from the Pajama quilter DVD and it’s still one of my favorites. 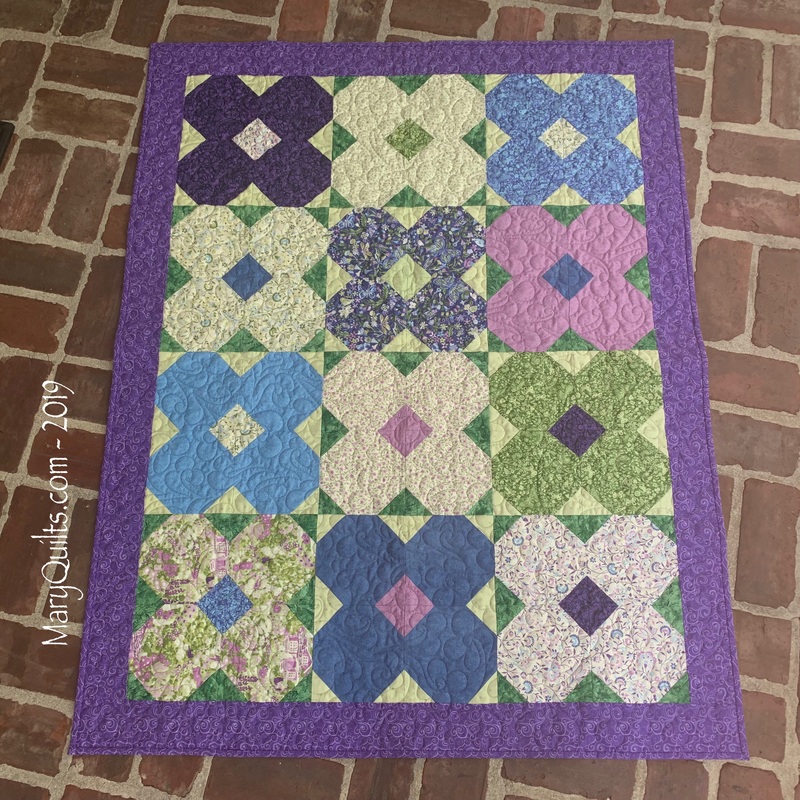 This was the first quilt I used my snowball die to make but I want to do another one with alternating 9 patch blocks.